Roy Norris's teaching career began in 1984 in Selby, North Yorkshire, where he taught French and German in a comprehensive school for five years. At the end of the eighties he moved to Madrid and a career in ELT. Most of his time there was spent working with International House, as teacher, teacher-trainer and at one point Cambridge Examinations Co-ordinator. In the mid- 1990s Roy spent 18 months in Vilnius, Lithuania, where he held the post of Director of Studies at Soros International House. In 1996 Roy came back to International House Madrid to teach, and started writing for Macmillan three years later. 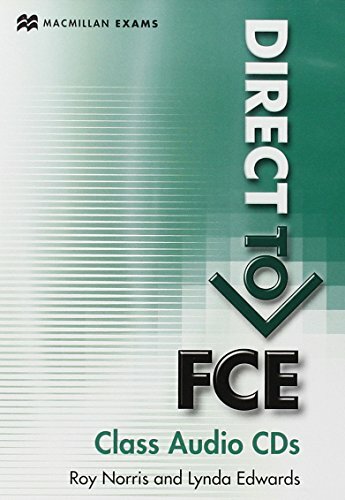 With the invaluable support and understanding of his wife, Azucena, and daughters Lara and Elisa, he has written Ready for FCE (2001),Ready for CAE (2004) and Straightforward Advanced (2008), and co-written Direct to FCE (2011). He has also contributed to the Spanish bachillerato course Upgrade (2010). Lynda Edwards spent the first part of her working life teaching EFL to international students before going on to becoming involved in teacher training. Lynda has written several course books for students from A2 level through to C1 as well as skills books, resource books, work books, Teacher's books, tests and graded readers. She has also written for many Cambridge ESOL examinations. When not writing Lynda enjoys reading and walking her dog 'Bailey' in the New Forest.